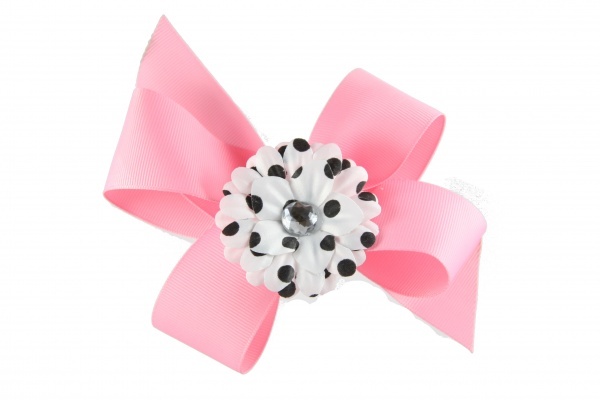 This unique bow features a pink boutique style adorned with a white daisy that has black polka dots all over. Pink, black, and white should match about any outfit. This bow gives you 2 clips so each piece can be worn alone. The Daisy is on it's own alligator clip which just slides on and off the pink base. The pink bow has it's own French clip.